Last week, I FINALLY graduated from my MA, took me bloody long enough. The ceremony was at 12 PM, which was a slightly awkward time – too early to have lunch before, but by the time we were done, we were all starving. Since graduation took place in the city centre, I requested lunch at a venue that I’d been dying to go to for over a year – Crust! 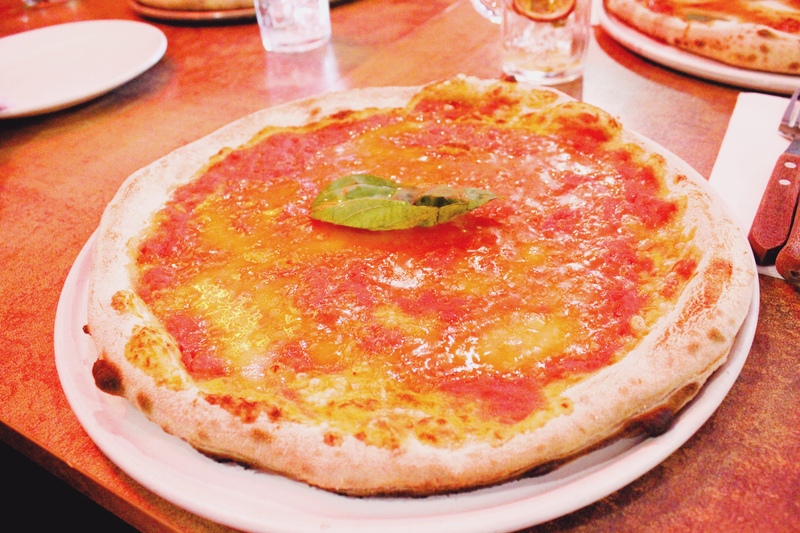 Located smack-bang in the middle of Bold Street, Crust is a true Liverpool Independent. The interior of the restaurant is fun, but unpretentious (think brick walls, wooden furniture and neon signs) and we were welcomed and seated instantly, despite arriving at a really busy time. The only flaw was that it’s quite a narrow venue and they’ve clearly put as many tables as they possibly could into it, meaning that prams are a bit complicated to get in and park. Difficult, but not unmanageable! Apart from that, Crust was incredibly child-friendly. A highchair appeared at our table before we’d even managed to take off our coats, and the servers were fantastic, laughing and joking with Isla and bringing out an extra plate for her without even needing to be asked. 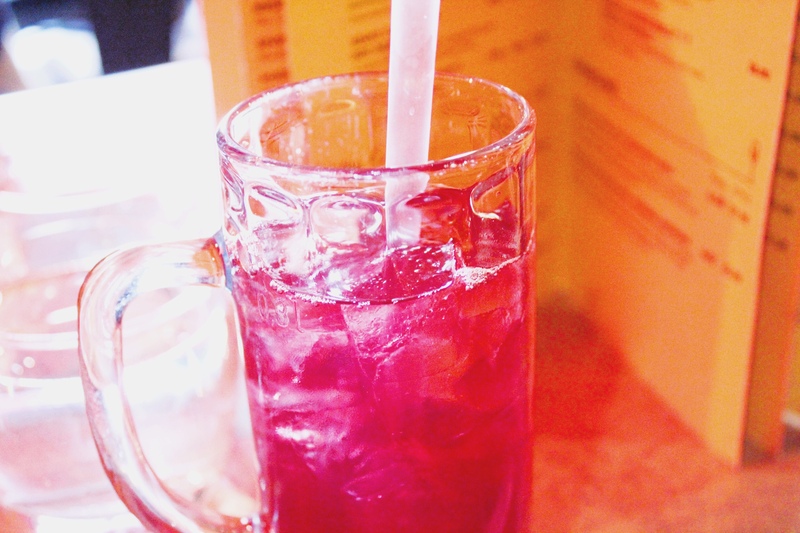 We ordered different lemonades and a cranberry juice to drink, which arrived looking fantastic (although they could do without the straws – pointless plastic) and tasted even better. 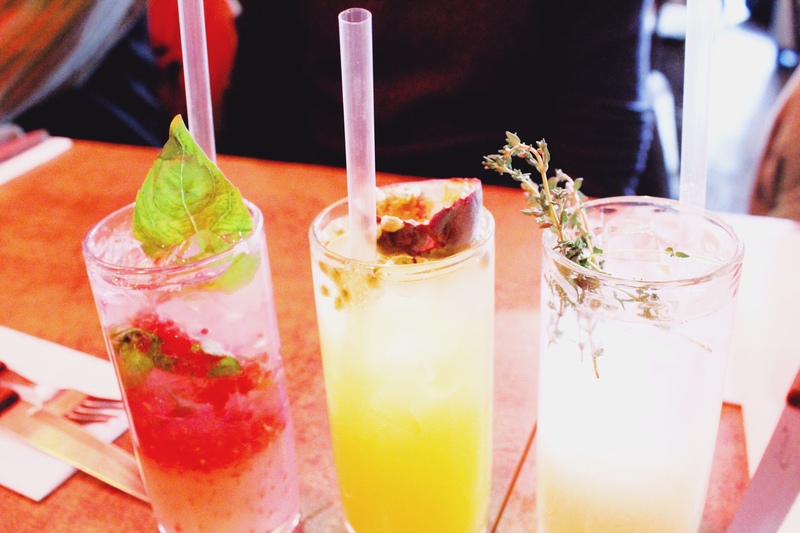 Their alcoholic beverage menu is also quite extensive (and vegan options are clearly specified, no guessing here!). It was the middle of the day and none of us are big drinkers, so we didn’t order any, but I get the feeling that Crust is a great venue for a relaxed evening out with friends. I’ve read loads and loads of rave reviews about Crusts vegan pizzas ever since they started serving them, so I was chuffed to finally be able to try one. They have a range of different crust (haha) options, including a five-grain one and a charcoal base (hangover food!? ), but we went with the original one, since I’ve heard such amazing things about it. It did not disappoint! Jake had a vegan Funghi pizza, and I had a vegan margarita, and we both agreed that it was one of the best lunches out we’ve ever had. I personally wasn’t blown away by the vegan cheese – I think it’s just violife but I could be wrong – but the pizza crust really did the restaurant name every honour. It was light, perfectly crisp and had just the right levels of smokey aroma – unlike anything you’d be able to make at home without a really expensive oven! 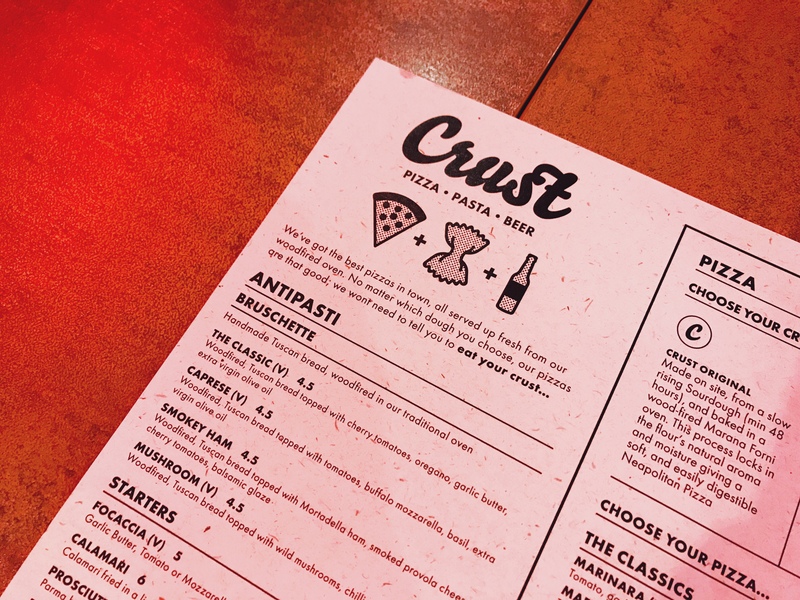 Crust have quite an extensive menu, so I’m keen to go back and try some different things (especially since they have a breakfast menu), and I think it would be a lovely place to go for a date night. 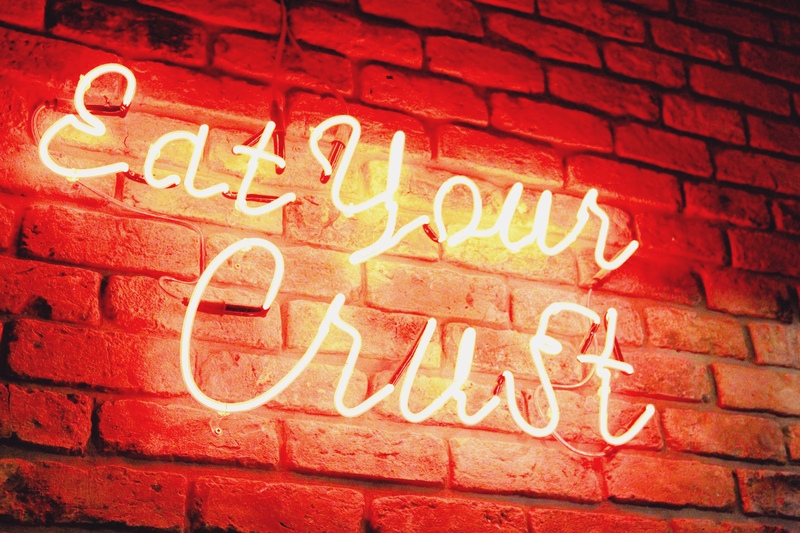 Liverpool friends – have you been to Crust? If so, what are you menu favourites?